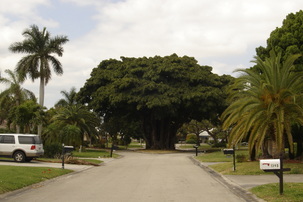 Whiskey Creek is located between the beautiful tree-lined streets of McGregor Blvd. and College Parkway in Fort Myers. The neighborhood offers many home options such as single family homes, villas, and condos. Driving through the neighborhood you can see the gorgeous landscaping, mature trees and manicured lawns. The neighborhood features a bike/walking path and for boating enthusiasts several of the homes have direct gulf access. Golfing is also an option but it is not mandatory. With voluntary HOA fees Whiskey Creek is a very affordable option. Come see this fantastic community for yourself. Please call Riverside Realty Group to schedule your appointment today!